Supercell has partnered with Swedish experience design company, North Kingdom, to create the latest addition to their wildly popular mobile game, Boom Beach. Created by Supercell, Boom Beach is a mobile and tablet based strategy game that allows players to create their own defensive bases. Players can upgrade their base over time whilst also building an army to attack both other player and Non-Player Character (NPC) bases in order to gain in-game resources. The new addition, Blackguard Base Builder, will give players the chance to create NPC bases, which previously were designed solely by Supercell and appeared periodically throughout the game. The Blackguard Base Builder is a separate web based service that, on top of allowing the design and creation of the bases, collates all of the player creations in a gallery, giving other players the opportunity to review the bases and recommend them for potential inclusion in the game. 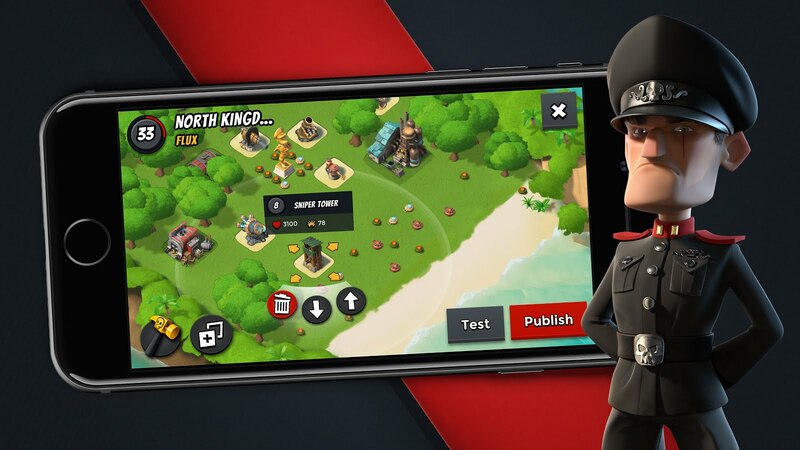 North Kingdom worked closely with Supercell to transfer the unique look and feel of the core game over to the Base Builder so that, despite being separate applications, they are indistinguishable from one another in style and usability. Motiviti, the independent game and software development company, were tasked with assisting North Kingdom on creation of back end. North Kingdom were also tasked with making sure players were able to interact with each other's creations by liking, reacting, bookmarking and recommending them. Additionally, and what is likely the most exciting news for players, players are be able to test both their own base and those created by other users by way of launching an attack from within the builder that then takes places in-game. To introduce the service and have it fit into the narrative of Boom Beach, North Kingdom helped Supercell use an existing character from the Boom Beach universe, Lt Hammerman, to carry the uniquely developed story. Lt. Hammerman provides players with information throughout the service, helps the player sign up, gets them started on the process of building levels, and also features in a musical-themed promotional video (above), created by Barton F. Graf, to introduce the new service. 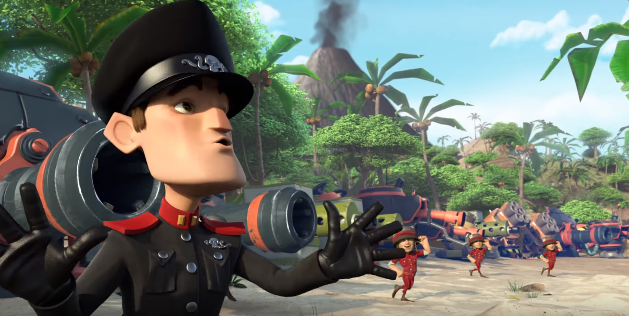 Using an existing character gave the opportunity to enrich the existing Boom Beach lore and provide another dimension to Lt. Hammerman. The creation of the surrounding story and use of the existing character as protagonist provides a reason for the service to exist within the game’s lore, and this attention to detail is in line with North Kingdom’s philosophy of designing for the experience age - whereby designing and creating an experience empathetically is done on purpose to create an emotional impact on the player. North Kingdom’s UX Designer, Arvid Brane, commented on the key factors involved in the project, “Aside from creating a clean, easy to use and, most importantly, enjoyable experience it was also really important to us that we make it as social as possible. Boom Beach has a thriving fan community, with players recording videos, commenting on each other's bases and strategies as well as making fan art and guides. Supercell further the sense of community by actively communicating with their fanbase through videos and comments on YouTube. We wanted to bring that aspect over to the Blackguard Base Builder by including features that would allow players to engage and even test each other's bases!” The Blackguard Base Builder is live and available to test here.